Alexandria Bombach is an award- winning director, cinematographer, and editor from Santa Fe, New Mexico. Her feature-length documentary, On Her Shoulders (2018), won Best Directing in the US Documentary Competition at the Sundance Film Festival, is nominated for two Spirit Awards, and was shortlisted for the Academy Award for Best Documentary Feature. Her first feature-length documentary, Frame by Frame (2015) premiered at SXSW and went on to win over 25 festival awards. 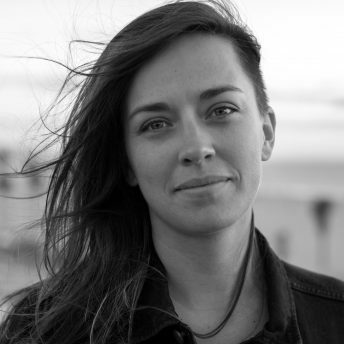 Alexandria is the founder of the Santa Fe Editing & Writing Residency and a 2019 Sundance Institute Momentum Fellow.